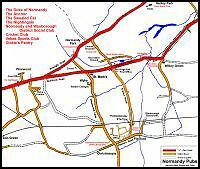 While many believe the village of Normandy to be named after the Duke of Normandy pub, this seems unlikely because Normandy is referred to in deeds and maps as early as 1608. 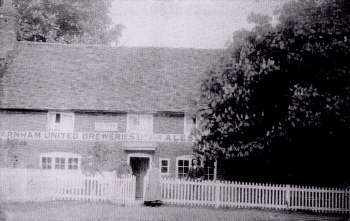 In 1841 the site, where the pub now stands was a green field. 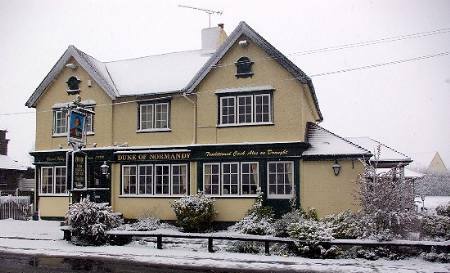 By 1855 the pub was established as the Duke of Normandy and was leased to Thomas Taunton, the Guildford brewer and it was fully licensed before 1869. Taunton's brewery and public houses were taken over by Friary in 1874 and the pattern of company ownership was established. 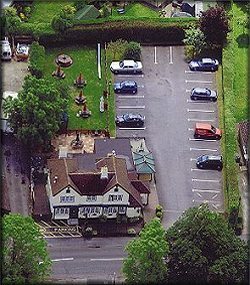 In 1991 Friary Meux sold the Duke of Normandy to Greene King plc and July 2012 the pub finally closed. From 1881 to 1930 the landlords were the Carpenter family. 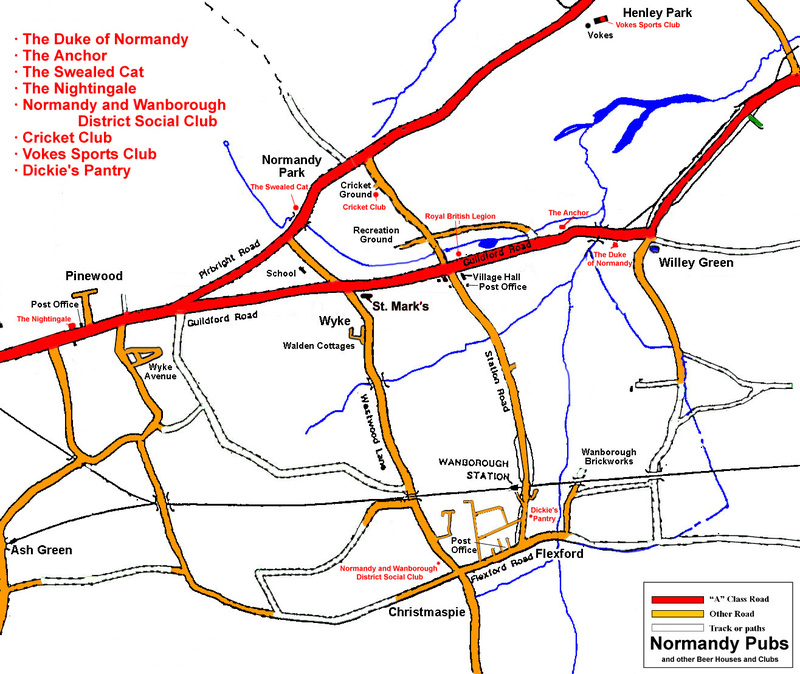 In the 1920s and 30s Friary used to deliver to the Duke of Normandy in a steam lorry. Throughout World War II the landlord was Alf Godwin, who was in Normandy's wartime fire brigade. In 1993 the tenants Robin and Val Osborne gave the Duke of Normandy a "vigorous refurbishment" which took six weeks and cost £65,000, and decorated the walls with historical photographs of the area provided by Normandy Historians. Now sadly defunct, it was probably Normandy's oldest pub and the place around which the original hamlet and community of Normandy centred. It is mentioned as early as 1664 in the records of the manor of Cleygate when it was Dorothy Lovell's cottage. She sold it to William Chewter, and when William died his widow sold it to Stephen Norris. The first reference to the Anchor Alehouse is in 1720 when Stephen was living there. By 1722 it had descended to his son Stephen Norris, who sold it in 1730 to Thomas Bicknell, a victualler of Ash. It was owned by Thomas then his son Thomas then his grandson Thomas until 1820, when Thomas Bicknell sold it to John Knight, brewer of Farnham, for £512 10s. In 1821, John Knight held the copyhold from the manor of Cleygate (meaning his occupancy was 'copied' into the manorial roll), still for 2d rent, subject to a fine of 6d, a fee payable to the lord of the manor by the incoming tenant in consideration of a small rent, and heriot of 2d, a fee payable to the lord of the manor on the decease of the tenant. John Knight's tenure lasted until at least 1869, but he was not the publican for most of this time - the person that we would misleadingly refer to as "the landlord", was Edmund Waters, licensed victualler, from at least 1841 until 1874. Edmund Waters' daughter married William Hill and he was the landlord until 1882, keeping the pub 'in the family' for over 40 years. The ownership too appears to have stayed in the family, because in 1890 John Henry Knight owned it and he might well have been a descendant of John Knight. 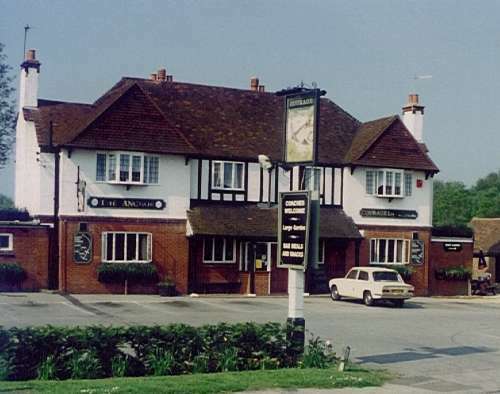 However, Farnham United Breweries owned The Anchor by 1904 and the age of personal ownership was ended and replaced by almost a century of ownership by ever-larger companies and corporations. Farnham United Breweries was acquired by Courage and Courage formed Inntrepreneur Estates with Grand Metropolitan. The John Henry Knight who owned the Anchor could well be the John Henry Knight of Farnham who built the first British petrol-engine driven road vehicle in 1895. This was a two-seater, three-wheeled car capable of reaching 12 mph. It was later converted to a four-wheeled layout and in this form it was the only British motor car at the 1896 exhibition at the Crystal Palace. The museum in Farnham has a permanent exhibition featuring the life and inventions of John Henry Knight who also had the dubious distinction of receiving the first speeding conviction in Britain. In a survey soon after 1910 the Anchor was described as having a taproom, sitting room, clubroom, cellar, etc. and as being in fair order considering its age. Nevertheless, the old building was pulled down in 1916 and a new one built on exactly the same site. Meanwhile beer was sold from the stables. Doris Prangnell née Ansell who was born at the Anchor in 1916, remembers that the Inn had hot and cold running water which most homes did not have at that time. Apples were stored in one of the back rooms and Doris can still recall the aroma of the apples more than half a century later. In the early years of the 20th century the Anchor had a full licence, provided dinners, teas and minerals, had accommodation of two beds and stabling for four horses. The clientele was "of all classes". Concerts were held at the Anchor and at the Duke of Normandy but the Anchor's were remembered as being more rowdy! 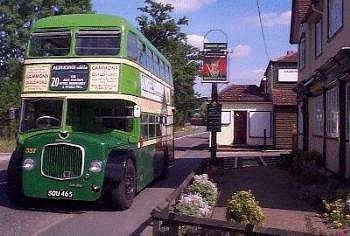 In the 1930s the coaches returning to London from the Aldershot Tattoo would stop at the Anchor for their passengers to have a drink. Local housewives would take their chairs down to the end of the lane to watch and local children like Cynthia Oliver would sing for the passengers who would throw pennies for them. Hunt meets were held at the Anchor regularly up to the 1930s and they also used to call in regularly to the Duke of Normandy for drinks and refreshments. The last foxhunt to take place in Normandy was in the early 1990s when the Goschen hounds met at Henley Park Farm, when Major Robin Fulton was Master. The Goschen hounds were formerly the Bisley hounds and were named after a Dutch family who had moved to England. Mrs Goschen, who was keen on the hunt but didn't ride, used to follow the hounds in her 2CV motor car! 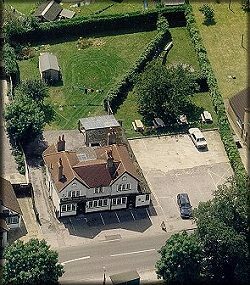 The Anchor was not a coaching inn but it is said that the coach and four from London to Southampton used to change horses there. A reconstruction in 1962 re-created the Red Rover London to Southampton run, which actually operated over a century earlier. Even after the war Jim Roberts kept horses at the Anchor's stables and they were used for the annual public relations journey from London to Reading and Alton. A photograph in the Surrey Advertiser in 1981 shows a coach and four with passengers in period costume leaving the car park, but the watching crowd had modern dress. Before the war there was a big tree in front of the pub where children played while their parents were inside. By the 1980s children's tastes had become more demanding because there was a double-decker bus formerly owned by Brighton Corporation in the beer garden, which had a slide from the upper deck to the ground serving as an amusement. The tradition of family occupancy continued and for 65 years from the turn of the century the landlord was James Hutchins followed by his son Frank. When Frank and Winifred Hutchins retired in 1965 the pattern of stability ended and over the next 30 years there were at least six different occupiers and when the landlords went into liquidation in 1993 the pub closed. 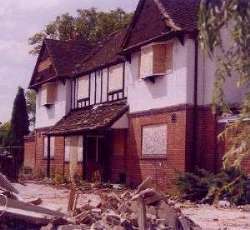 Although it reopened again the next year as a free house, it was not long before the Anchor closed again and then became a sorry spectacle, boarded up and with damaged cars rusting on the forecourt it has now been demolished and replaced with houses. 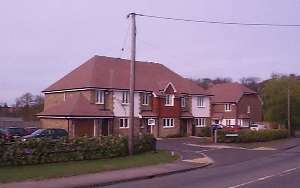 The other alehouse in the hamlet of Normandy was the cottage at the sign of "The Swealed Cat" (also known as "The Swelled Cat"), at the bottom of Dolley's Hill on the Pirbright Road. It is possible that the unusual name derives from a swealed, meaning singed or scalded, cat. It was referred to by this name in 1869 when it was part of the Normandy Park estate owned by George Bean. The cottage had an acre and a half of land and the copyhold tenants, Thomas Chandler and family, were agricultural labourers who probably supplemented their income by selling beer to passing customers. After 1830 any ratepayer on payment of two guineas could open a beerhouse. Local residents remember the alehouse existing until about 1914 after which it became a gardener's cottage. The building was there until the 1950s and Percy Woods the builder obtained it as part payment for work done in 1953, when he converted Normandy Park into three separate residences. 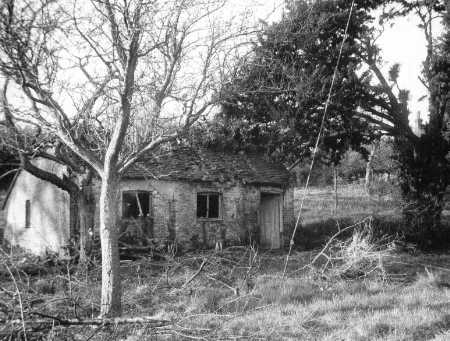 The cottage was in ruins at this time and in 1958 or '59 it was demolished and the bungalow 'Wynnstay' built on the site. This pub stands just inside the Parish of Normandy on its border with Ash. The boundary, now an unmade road, is remembered as being a stream with a ford where it crossed the road. 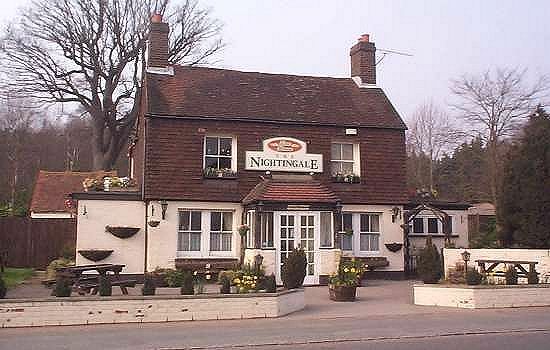 Like the Swealed Cat, The Nightingale may have started as a smallholding whose occupant also sold beer. 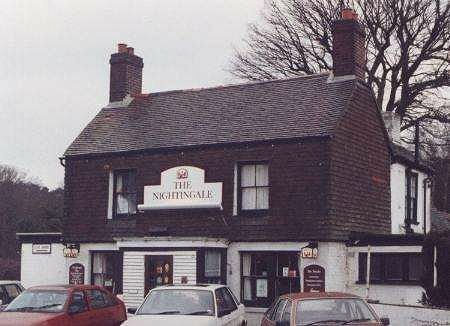 In the 1860s and 70s, The Nightingale was occupied by Robert Waters then by Luke Kersley, both being beerhouse keepers. 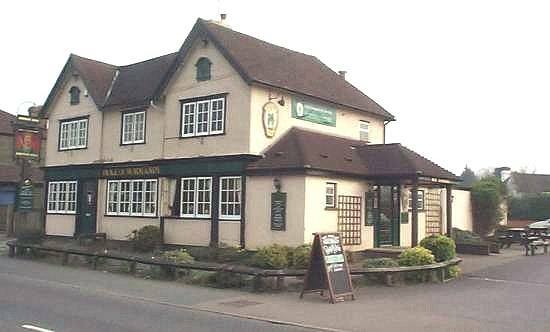 In 1881 it was sold to Burrell, Burrell and Wormold, the Alton brewers for £785 while Luke Kersley remained the landlord. In the early years of the 20th century it was occupied by Frederick Sheldon Hill, beer-retailer followed by Sidney B Hill. It is not clear whether they were related to each other, or indeed to William Hill the earlier landlord of the Anchor, but it seems likely. The Nightingale had an on/off licence and bread, cheese and minerals were also supplied. There was no accommodation (for people or horses!) and customers were said to be "of the labouring class". A survey before World War I when it was owned by Crowley's brewery of Alton showed that there was a taproom, two parlours, a club room and two cellars and it was in very fair order. Crowley's was taken over by Watney, Combe and Reid in 1947 and in 1992 Grand Metropolitan's Watney pubs were transferred to Inntrepreneur. Interestingly the pub was not shown as a Public House on Ordnance Survey maps of 1916 and 1934. According to a previous landlord it was a beer and coffeehouse since cider used to be classed as coffee! In 2006 it was open as an Indian restaurant called "The Indian Summer". The restaurant boasted a quality menu, served up in clean, airy premises by friendly staff. 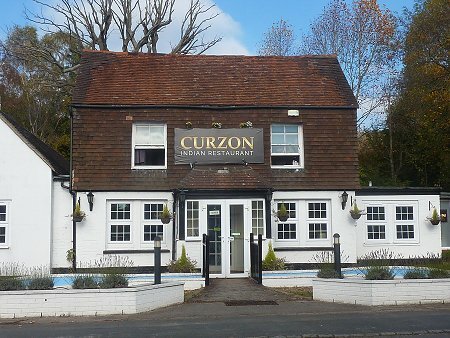 In 2011 it closed and then reopen as an Indian restaurant "Curzon" under new owners. There was never actually a pub in the "Flexford - Christmaspie" area although there were plans for one. In the late 1920s Farnham United Breweries, later Courage, bought a plot of land on the northeastern corner of the crossroads, formerly part of Christmaspie Cottage. 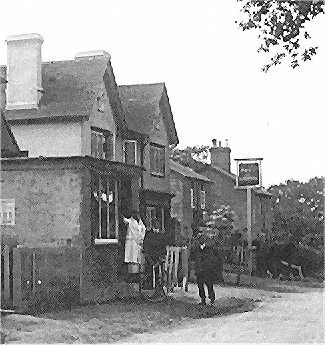 It was still waste land in 1960 when Fred Hibberd tried to sell Christmaspie Cottage to Courage who proposed to convert it into a pub, but planning permission was refused and the appeal was lost in 1969-70. There have from time to time been other licensed premises in Normandy, which could not be classed as pubs. The café called Dickie's Pantry, in the house now called High Trees in Glaziers Lane, was run by William and Florence Knapton. By the mid-1950s it had become a social club with a bar and a games room. At 11:20 on the night of the 15th of December 1956 the Dickie Social Club was raided by police who found eight people drinking illegally in the club. William Knapton was fined £76 plus five guineas costs for serving drinks after hours and serving drinks to non-members but the charges against his wife Florence were dropped. The eight customers, four from Normandy Parish and four from elsewhere, were fined £4 each. Farnham magistrates found that it was not a bona fide club and the Knaptons were living on the profits so the club's licence was revoked. Middle Row:- ?, Fred Hibberd (Senior), William Pine, Albert Miller, Bill Penfold, Frank Wright, Tim Ashby, Mr Betchworth, ? 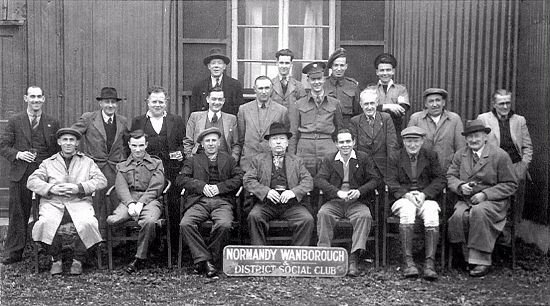 Other licensed clubs in the village included the Normandy and Wanborough District Social Club (former Working Men's club) in Westwood Lane and the Normandy Ex-Servicemen's Club at the Royal British Legion. The Cricket Club also had a bar as well as the Vokes employees Sports Club. These along with the pubs played an important part in community life.